Tinder Social App Launch in India: The most popular social discovery service and dating app Tinder have announced the launch of their Tinder Social in India. Tinder App Looks Beyond Dating service with Launch of Tinder Social in India, 5 Other Countries. 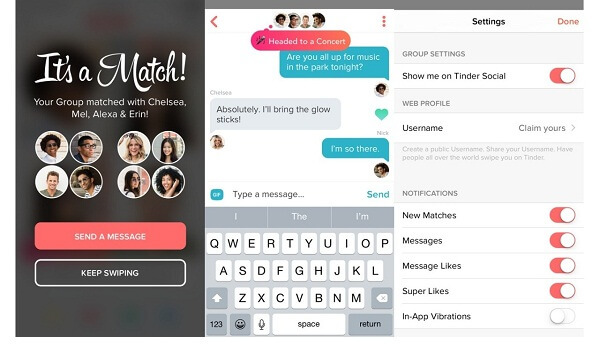 Tinder is known as the hookup app, adds a feature that’s all about hanging out with your friends. Several new latest features have been added to the social application. Using Tinder Social, new connections can be made in the same way as made in the real world i.e. with groups of friends, in-person experiences and sharing common interests. 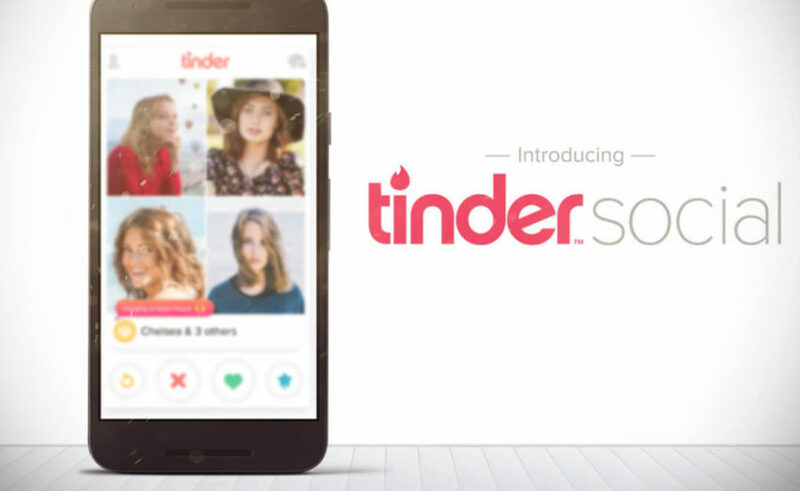 Along with India, Tinder Social App launch in UK, USA, Canada, Australia and New Zealand. The feature of Tinder application enable the users to create groups of people, hang out together and plan activities. Tinder Social app newly added features includes make the new connection with a group of friends or meeting people with shared common interests, hanging out at a place together. This feature was first introduced in Australia during the test run of the new app. Tinder Social app features are designed to make it as easy as possible as to get into the real world and meet new people and to plan your night. The new feature added to the app takes the Tinder experience to a new level, offering our users to get more ways to expand their social circles while interacting with potential matches. We believe it’s the ultimate tool for planning your next adventure. Sean Rad, CEO, and co-founder of Tinder said in a statement. Tinder Social app Launch offers a simple and fun way for our users to continue seeking new experiences with meaningful connections. Once they get unlocked people, the feature allows then to add 1-3 friends to a group once they have provided they have opted for Tinder Social. The creator of the group can use the ‘End group’ if they want to expire the group as similar as in WhatsApp Group feature. Stay connected to Worldhab and get connected to the latest happening in the world. Share your comments about the latest Tinder Social App Launch in India and 5 other countries.